Cheap Color Copy 24 Laser No Minimum! Free Delivery! SAME DAY SERVICE IN BY 10 A.M. DELIVERY OR PICKUP BY 5 P.M.
RESELLERS FUNDRAISERS & SELF PUBLISHERS MAKE MORE PROFIT WITH US! 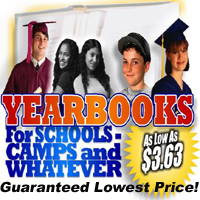 cheapyearbooks.com Minuteman Press - Printing - Copying - Hewlett, NY, 11557 staples officemax theupsstore officedepot fedex kinkos 1152A Broadway Hewlett NY 11557 Broadway Hewlett NY 11557 Hewlett NY 11557 Hewlett NY Five Towns NY Woodmere NY Rockaway NY Lawrence NY Cedarhurst NY Inwood NY East Rockaway NY Far Rockaway NY Valley Stream NY Mineola NY Oceasnside NY Long Beach NY Hewlett Bay Park NY Hewlett Harbor NY Hewlett Neck NY Woodsburgh NY North Woodmere NY Town of Hempstead NY Hempstead NY West Hempstead NY Jericho NY Westbury NY South Shore Long Island NY South Shore NY North Shore NY Great Neck NY Little Neck NY Oyster Bay NY Arverne NY Malverne NY NY 11557?57?